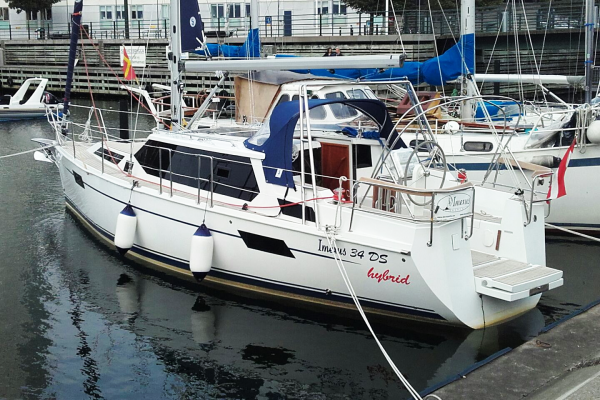 The IMEXUS 34 DS is a seaworthy deck saloon yacht, which convinces with lots of living comfort as well as excellent sailing characteristics. 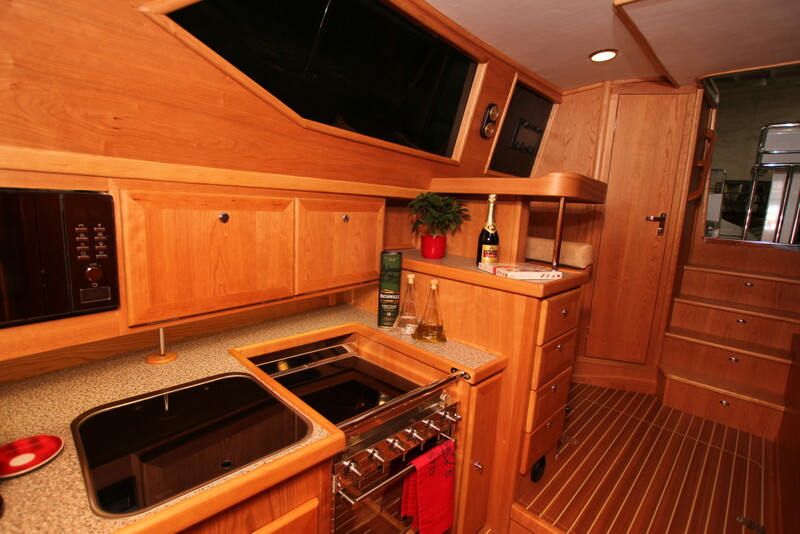 The deck saloon concept combines the living environment with sailing enjoyment on all levels, whilst the outside can be enjoyed even from below deck. 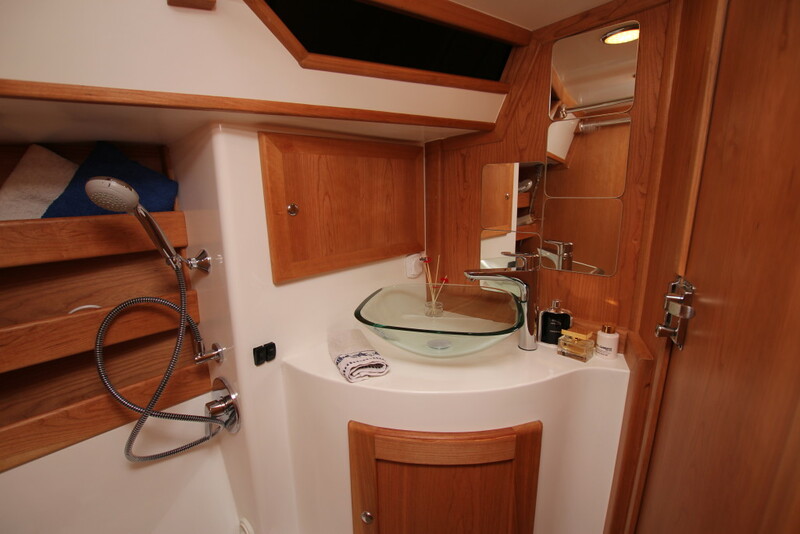 The panoramic window of the spacious saloon offers a 360 degree view while sailing and a light-flooded living space in all areas of the yacht. 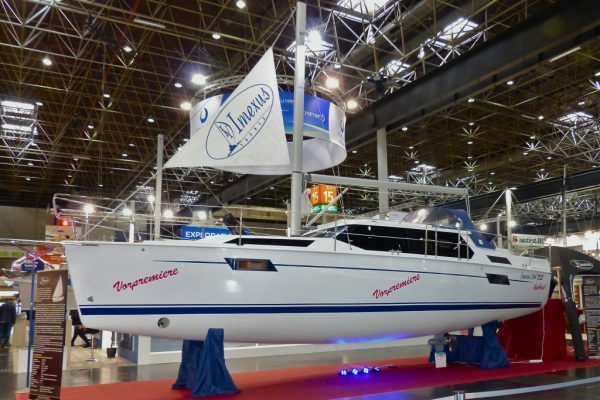 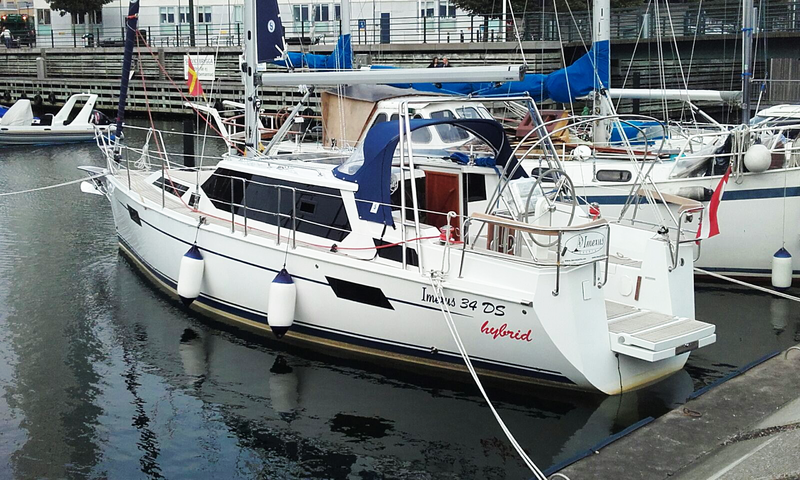 Due to the slim fuselage shape, the IMEXUS 34 DS dives smoothly into the wave and can prove its well sailing quality. 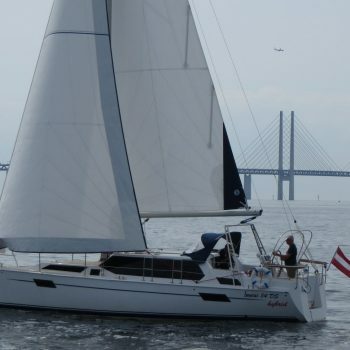 The theoretical hull speed of 7,6 knots can be achieved regularly, even with a gentle breeze. 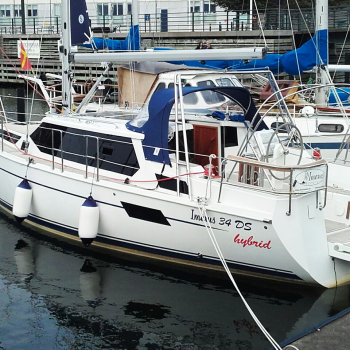 Already with a wind force of merely 3 Beaufort the boat scores 5,7 knots. 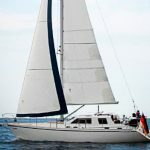 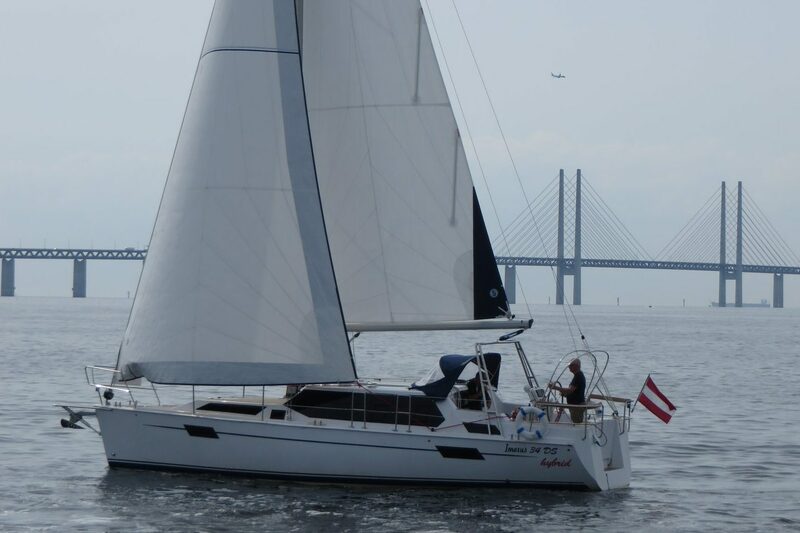 For an easy handling all halyards and hauls are directed to the cockpit, to sail the IMEXUS 34 DS fast and conveniently also with a small crew. 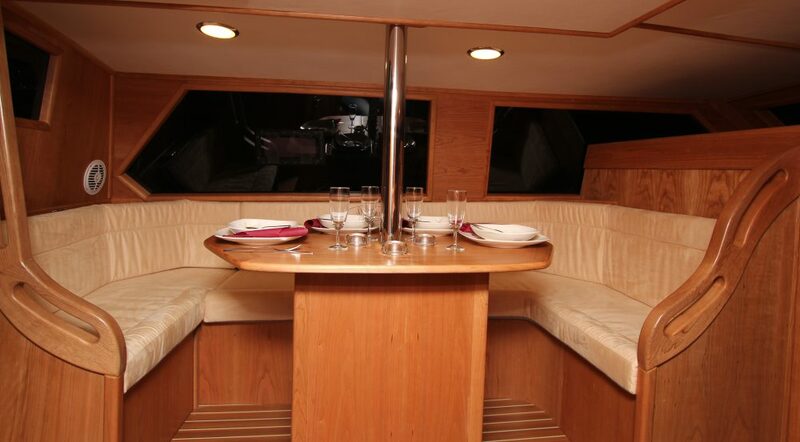 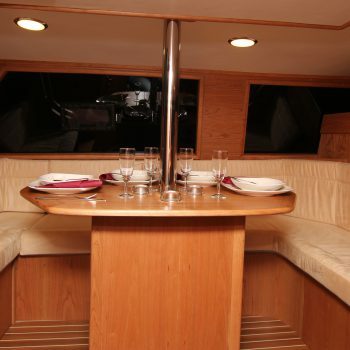 Altogether the boat sails very stable and with a finely controllable behaviour. 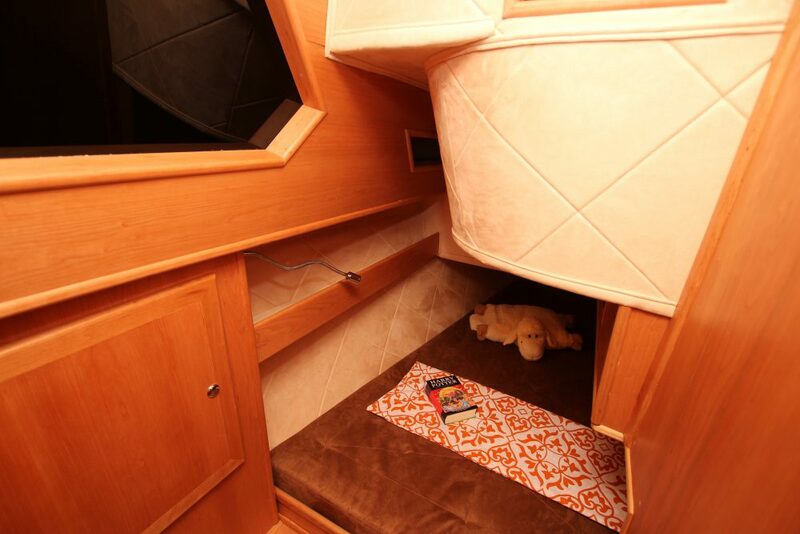 On board offers the IMEXUS 34 DS with its spacious living area, the master cabin as well as two further guest cabins lots of space for six persons. 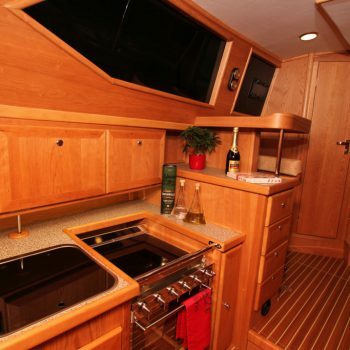 For an convenient and deliciously living on board the IMEXUS 34 DS provides a generous kitchen with gimbled stove and oven, microwave, cooling box and or fridge as well as two large worktops. 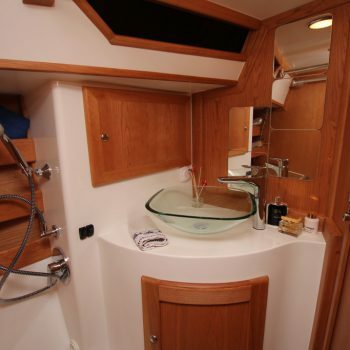 Thanks to the deck saloon and the spatial distribution at several levels the IMEXUS 34 DS offers below deck more living space than conventional sailing boats of this size with the result of generous and homely cabins. All in all the IMEXUS 34 DS emanates through its warm and reflected equipment and much of real wood, a cosy atmosphere. 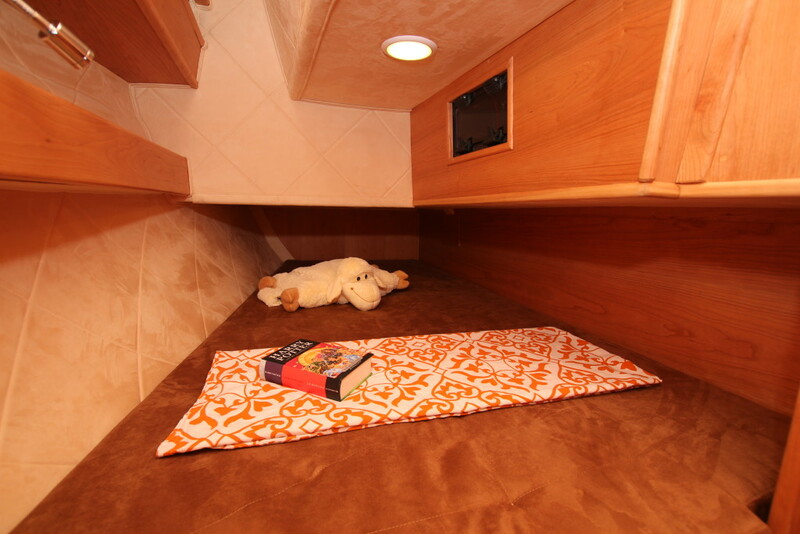 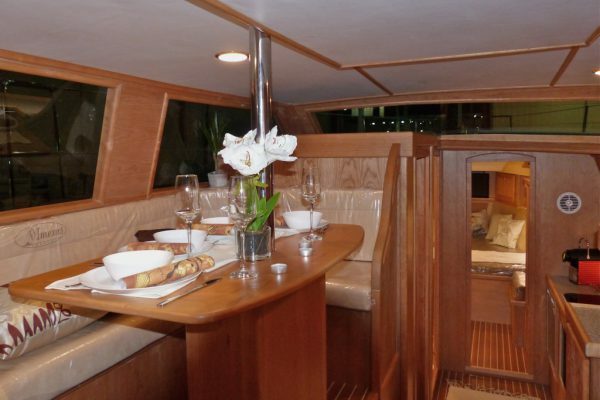 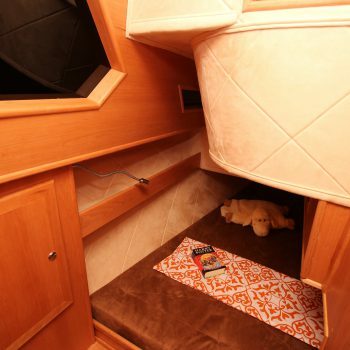 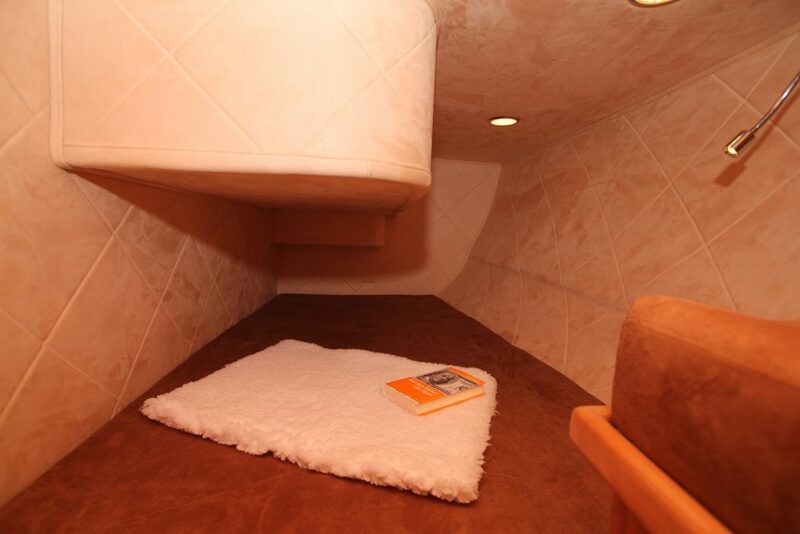 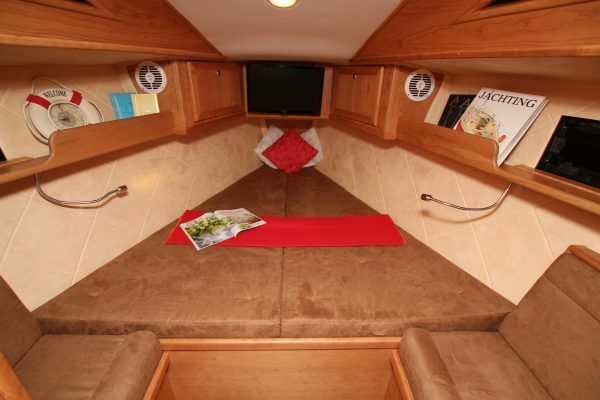 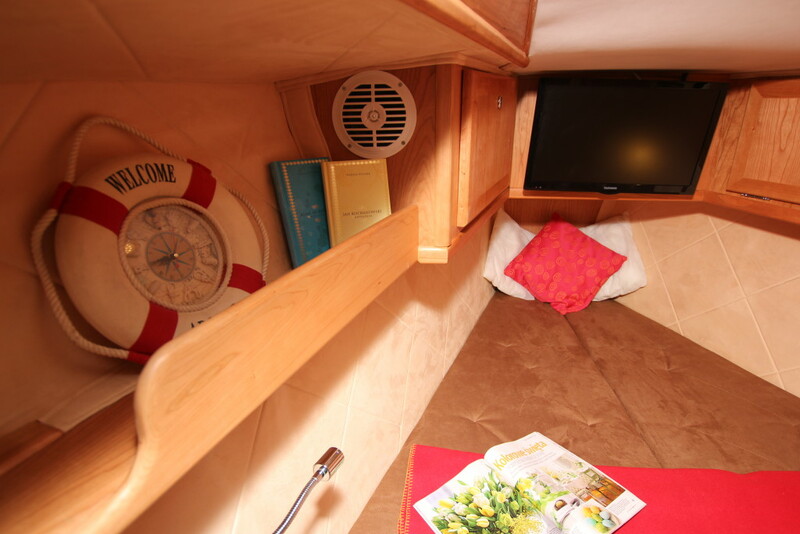 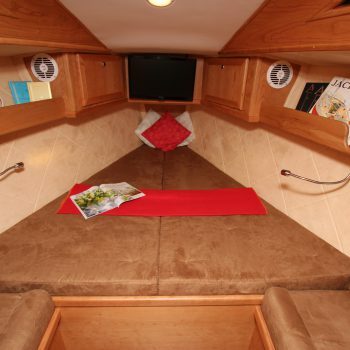 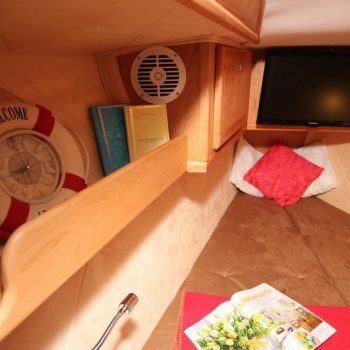 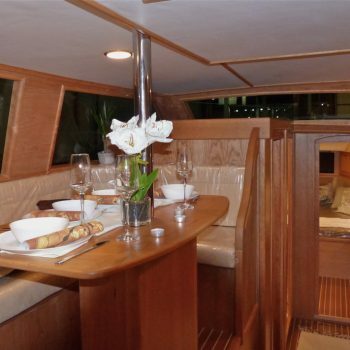 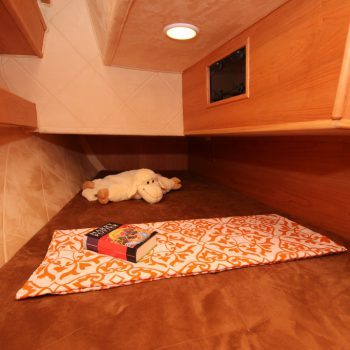 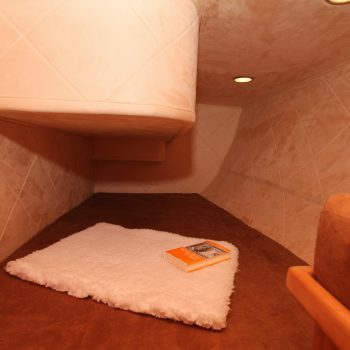 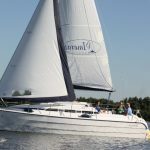 Considering its deck saloon sailing trips can be undertaken even after the summer season, what makes the yacht especially interesting for long-term sailors who values good comfort and lots of living space below deck.